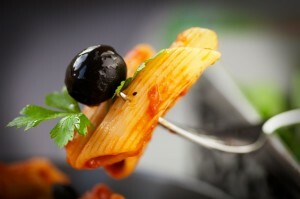 Most travelers looking for sunshine and Italian cuisine think first of Tuscany, high on the leg of Italy’s boot. However, Tuscany has become incredibly popular in recent years, and excessive numbers of world tourists are stamping out the region’s provincial charm. Just to the south, the tiny region of Umbria is quietly being heralded as Tuscany’s successor in terms of food and feel — and there is no better place to get a taste of Umbria than in good old Niagara Falls, Ontario. On Friday, March 6, world-renowned Italian chef Massimo Capra is paying his respects to the unique culture found in Umbria with an Umbrian-inspired menu and wine list. Read on for more information on this one-of-a-kind culinary adventure you can only find in Niagara Falls. Affectionately named “The Green Heart of Italy,” Umbria is the country’s fourth smallest region — bordered neither by coastline nor by mountains — yet one of the biggest and best Italian producers of olive oil and wine. Because of its lack of popularity among tourists when compared to its northern neighbor Tuscany and the southern metropolises of Rome and Venice, Umbria has retained a large amount of its stunning natural landscape, which remains somewhat mystical in light and atmosphere to travelers and locals alike. Landlocked, Umbria’s traditional foods are not influenced by the sea as is more familiar Italian cuisine. Instead, food critics explain that Umbrian cooking is particularly rustic, governed now as always by the earthy foods grown in the region’s fertile soils. 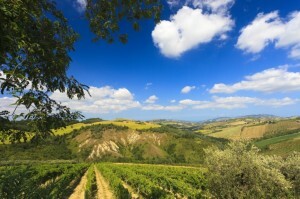 For example, standard Umbrian recipes rely heavily on whole grains like barley, wheat, faro, and spelt mixed copiously with fresh, rich fruits and vegetables; Umbrian olives are notoriously luscious — which is why the region’s olive oil industry is booming — and black truffles are a common delicacy as they grow bountifully in the region’s forests. Massimo Capra is well-known as one of the world’s top chefs in Italian cuisine, which is why Niagara Falls is so proud to claim his iconic restaurant, the Rainbow Room. Every day, the Rainbow Room in Crowne Plaza serves up unparalleled Italian cuisine crafted from Niagara’s fresh produce raised in the local landscape; guests can enjoy succulent lobster bruschetta, chicken alla diavola (roasted chicken breast), and black truffle gnocchi, among dozens of other sumptuous dishes. Most Niagara Falls visitors simply cannot miss a meal at the Rainbow Room any time of year, but in March, guests will receive a special treat. In continuation of Capra’s tour of Italy’s varying regional cuisines, the Rainbow room will spend the evening of March 6 wholly transformed into a vessel for the delights of Umbria. Guests are welcome to come for cocktail hour and enjoy the company of the illustrious chef in person, as well as mix and mingle with fellow food and wine lovers from across the globe. Capra will prepare a night’s worth of dishes, including a handful of canapes and a five-course dinner, exploring the intricacy and extent of Umbria’s cuisine. Additionally, the evening will celebrate masterful winemaker Marco Caprai of Arnaldo-Caprai Winery, who has won countless awards for his efforts with the sagrantino grape. Each dish will come perfectly paired with a traditional glass of wine, and certainly no one will leave the table disappointed with Umbria or Ontario.